Carburated, 2-cycle 3-cylinder, liquid cooled, electric start, aluminum, weight 108 lb (49 kg). Maximum Exhaust Gas Temperature 1300° F (704° C), Max Water Temperature 200° F (93.34° C). Transmission 32-tooth and 64-tooth PolyChain sprockets on engine and fan shaft, joined by HTD carbon belt. Fan shaft bearings - 1-1/4 in (31.38 mm) bearing Asahi and Sealmaster. 5 US gal/hr (19 l/hr) at cruising power. 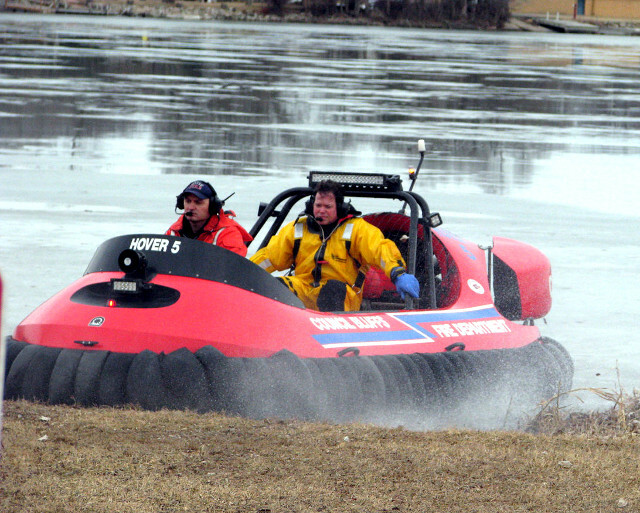 Reverse thrust with superb maneuverability not only for braking, but also for hovering backwards, yawing, spinning and maintaining lift cushion downwind at speed – and reverse thrust is absolutely essential for hovering over ice and on swift water. Full Instrumentation Includes Tachometer, Hour Meter, Cylinder Head Temp, Exhaust Gas Temp, Fuel Gauge, two types of Search Light Plugs and Wiring Harness. Click the checkbox to select each option then request a quote. 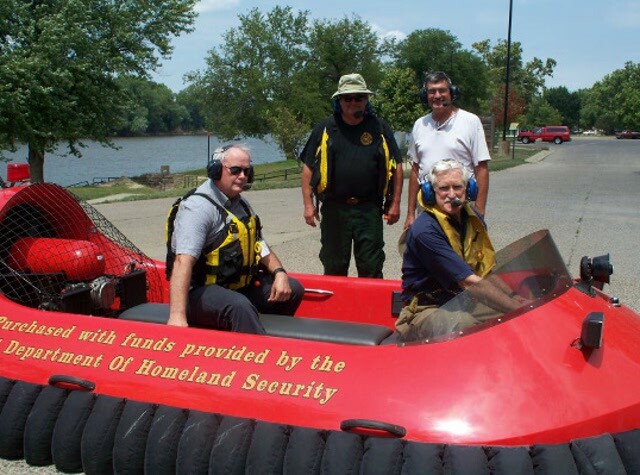 Why add a cabin to your hovercraft? 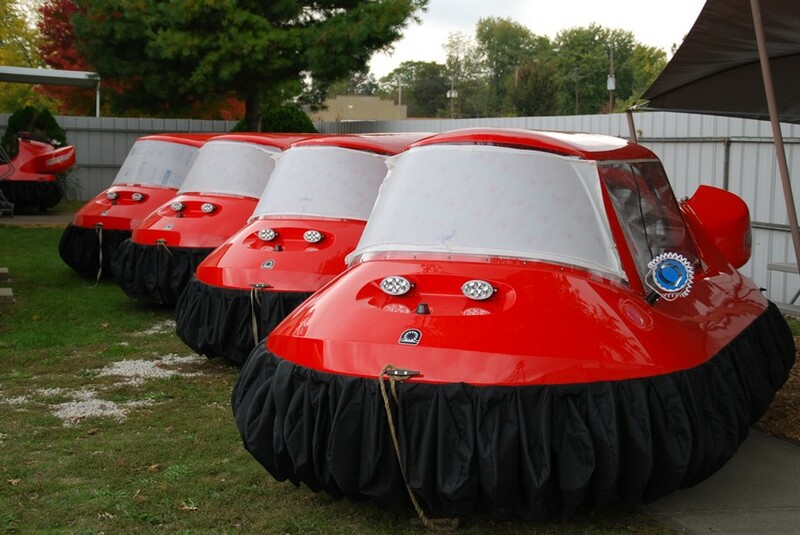 Fitting your hovercraft with a cabin is the perfect way to keep you and your passengers clean, dry and warm in any weather on any terrain. 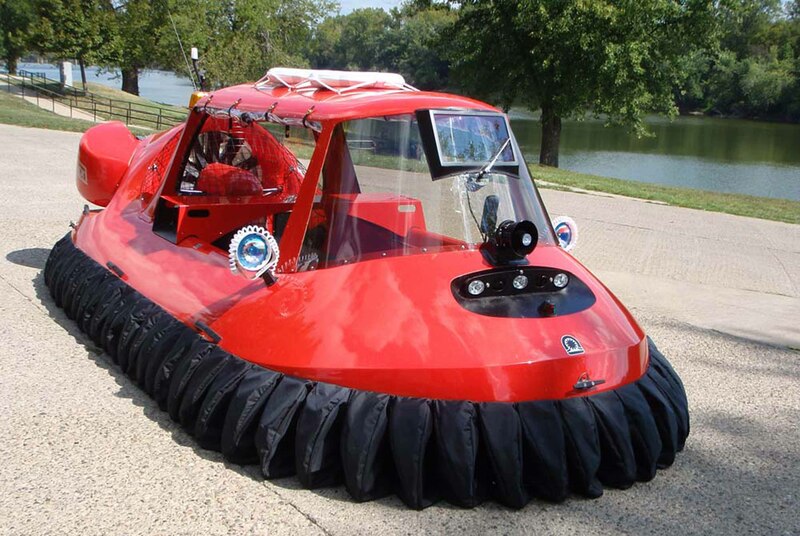 All our cabins can be fitted to any of our hovercraft and you can easily remove or install them in 15 minutes. Fiberglass Cabin Polycarbonate windshield, back and side clear PVC Flex Windows with Velcro hold downs. Has roll-up side and back windows for summer use. Cabin is removable and works with any seating options. 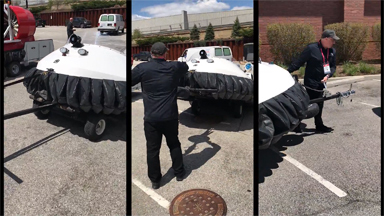 Other hovercraft manufacturers may offer no trailers at all, Neoteric has applied its exacting engineering standards to create one-of-a-kind trailers as unique as our hovercraft. Both the hover-on/hover-off trailer and winch-on/roll-off trailer allow unusually easy loading and unloading by just one person. And both are completely open for easy under hull inspections and convenient skirt maintenance. 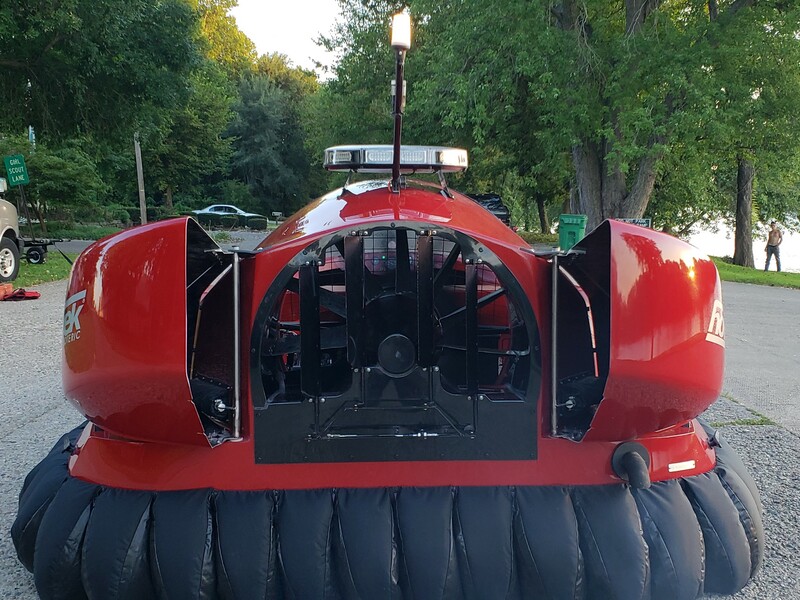 Rescue red and white are the default hovercraft colors. Custom colors are available for an additional fee. Total Salt Water Marinization Electrics, switches, instrumentation and stainless steel where possible. Our Spare Parts Kit gives you the parts, tools and hardware to get your hovercraft quickly back in operation if there’s a problem – without having to waste time searching for uncommon parts in your local store. When you need a skirt segment, skirt ties, fuses, light bulbs, skirt rivets, a drain plug, a fan belt, fan shaft bearing or fan blade, or other necessary items, this Spare Parts Kits saves the day – especially if you operate your hovercraft in remote areas.